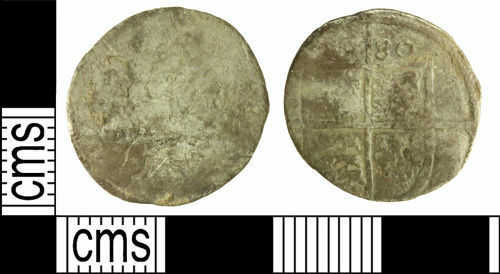 A silver sixpence of Elizabeth I dating to 1580, long cross initial mark. London tower mint. North 1997.